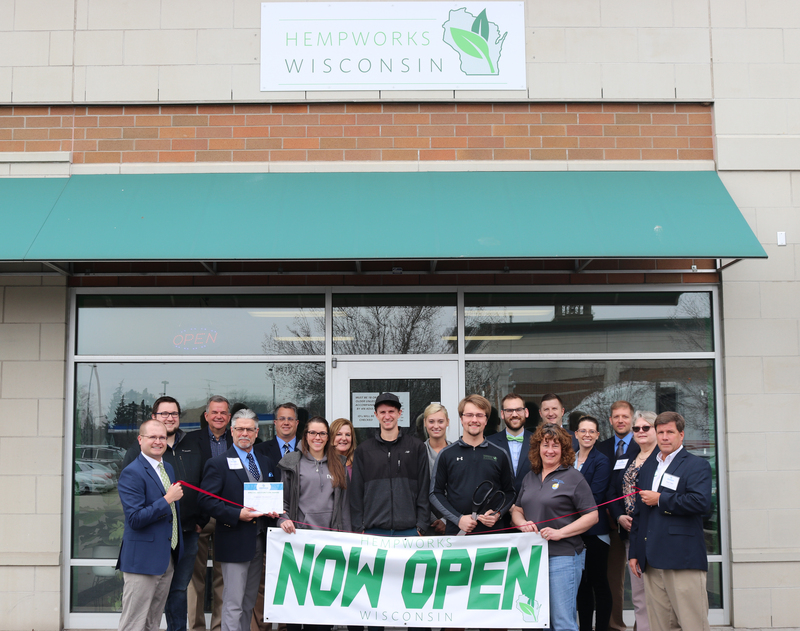 Envision Greater Fond du Lac recently celebrated the grand opening of HempWorks Wisconsin with a ribbon cutting at their new location at 188 N. Main Street in Fond du Lac. As Fond du Lac’s first hemp only retail store, HempWorks Wisconsin strives to provide the public with information and products that can help their general health and wellness daily. For more information, visit www.hempworkswisconsin.com. Pictured left to right: Craig Much, Horicon Bank; Brian Schroeder, U.S. Bank; Paul Krasin, Action Printing; Pat Friedel, Hometown Broadcasting; Steve Leaman, Horicon Bank; Keely Holtz, HempWorks Wisconsin; Kim Schmitz, U.S. Bank; Matt Wirtz, HempWorks Wisconsin; Natasha Timm, HempWorks Wisconsin; Ben Mueller, HempWorks Wisconsin; Joe Venhuizen, Envision Greater Fond du Lac; Alyson Koehn, HempWorks Wisconsin; Matt Steinert, Verve, a Credit Union; Lauren Herlache, Signarama/Flyway Signs; Jason Zellner, First Weber Realtors; Gail Johnson-Daveau, Dental Associates; and Dave Thiel, Associated Bank.